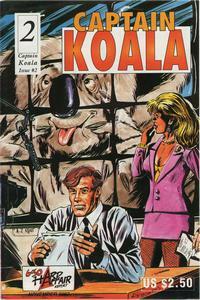 In this issue Captain Koala discovers a television for the first time ... and promptly ruins it. Imagine his suprise when Jolly Joker is to do a drug bust at a TV station! Captain also finds out that not everything is black or white, there are also shades of grey.